Leading figures in the free range egg industry want the United Kingdom to take much more deci-sive action against avian influenza outbreaks. 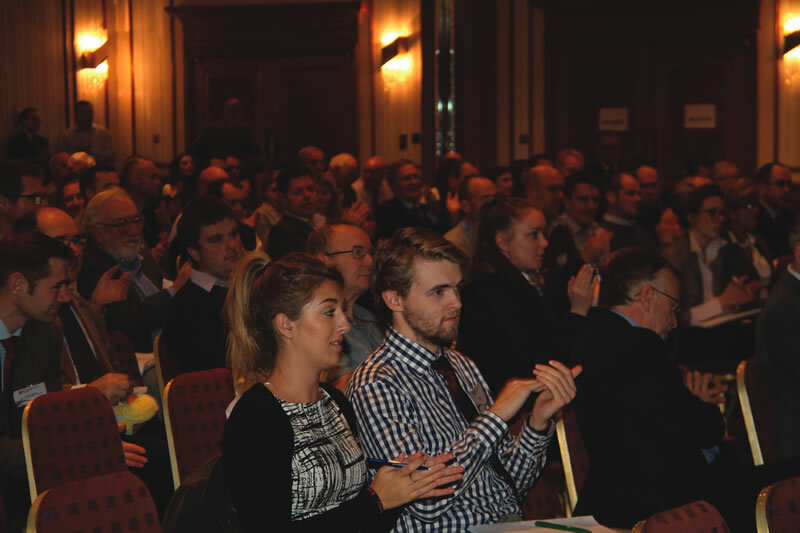 They raised their concerns at the annual meeting of the British Free Range Egg Producers’ Associa-tion (BFREPA), which was taking place a week after AI was confirmed on a duck unit near Drif-field in East Yorkshire. A 10-kilometre restriction zone was put in place around the Yorkshire site to prevent the AI spreading, but free range egg producers outside the immediate restriction zone were unsure about whether or not they should house their birds as a precaution. Robert Gooch, BFREPA’s director of policy, told members that there was a serious dilemma for producers. If the Department for Environment, Food and Rural Affairs (DEFRA) issued a housing order to producers, officially demanding that they shut their birds in, then they would be covered by a 12-week derogation that enabled them to maintain their free range status even though the birds were being kept indoors, he said. If producers did so without a housing order they would immedi-ately lose their free range status and face financial losses. “It puts producers in a difficult position,” said Robert, who said at the meeting that he would like to hear BFREPA members’ views on what should happen the next time an AI outbreak hit the country. Former BFREPA chairman John Retson, a Scottish producer, said he would like to see a housing order issued for the whole of the United Kingdom as soon as an AI outbreak was confirmed. “If there is an outbreak in the UK it is a risk even in Scotland,” he said. “I don’t believe there is such a thing as a low risk. Free range is more than 50 per cent of the UK market. As soon as there is an outbreak of AI it’s a high risk and I would suggest that there should be an order for a complete shutdown,” said John. Another member questioned whether it was necessary for a producer in Cornwall to shut his birds in as a result of an outbreak in Yorkshire, but retiring BFREPA chairman Roger Gent said he felt it was necessary to react quickly until the extent of any problem was known. “We can always relax things afterwards,” he said. A total of 6,000 birds were culled on the affected duck breeding unit in Driffield in November as part of DEFRA’s action plan to prevent the spread of the flu. Carcasses were sent for rendering and movements of all poultry, products and waste were banned within the designated restriction zone. Egg producers within the zone were unable to move their eggs off farm until DEFRA started issu-ing movement licences. The British Egg Industry Council (BEIC) estimated that at one point as many as 750,000 eggs were sitting on laying farms waiting for collection in the restricted area. Tests on the affected farm revealed that the AI involved was the same H5N8 strain involved in out-breaks in Germany and the Netherlands. DEFRA suggested that the source of the outbreak may have been wild birds. It advised poultry farmers to minimise contact with wild birds. Leading poultry vet Alastair Johnston of the Minster Group, who spoke at the BFREPA conference following the association’s annual meeting said that many biosecurity measures were common sense. “Wild bird control is tricky on free range production but have you got standing water, can you try to keep wild birds away if possible? And keep animals away.” Good foot dips were important, he said, as was hand hygiene. “It’s just as important as the boots,” he said. “We can pass on infection so, so easily. I think probably more important than overalls are hand washing and boots, although you should probably be doing all of them. During his talk at the conference, which was held at the National Motorcycle Museum in Birming-ham, Alastair Johnston spoke specifically about the outbreak in East Yorkshire. He explained that it was not necessarily always obvious whether avian influenza was involved and whether the authori-ties should be alerted. One of his colleagues had been called to the Driffield duck unit because of a drop in eggs, he said. “It was an egg drop that at that stage was quite severe. But we had had egg drops over the years that had probably been something similar and were probably due to management problems or specific reasons. Anyway, he went out and looked at these breeding ducks. He found that the ducks looked relatively healthy,” said Alastair. “Yes food consumption had gone down and there was a huge crash in egg production - 5,000 eggs to about 500 or so on that day. So a massive crash, and he was thinking EDS, which we know can be a problem in ducks. That was a possibility. Another viral challenge? ‘I’m going to probably have to report this to the ministry because it could be avian influenza.’ The rest is history. At the time of writing, the current AI outbreak in the UK appeared to have been confined to the duck unit in East Yorkshire. Both DEFRA and Public Health England said that the risk to public health from the outbreak was very low and the Food Standards Agency said that there was no food safety risk to consumers.